For other uses, see Lichtenstein (disambiguation). Motto: "Für Gott, Fürst und Vaterland"
Liechtenstein (/ˈlɪktənstaɪn/ ( listen) LIK-tən-styne; German: [ˈlɪçtn̩ʃtaɪn]), officially the Principality of Liechtenstein (German: Fürstentum Liechtenstein), is a doubly landlocked German-speaking microstate in Alpine Central Europe. The principality is a constitutional monarchy headed by the Prince of Liechtenstein. Liechtenstein is bordered by Switzerland to the west and south and Austria to the east and north. It is Europe's fourth-smallest country, with an area of just over 160 square kilometres (62 square miles) and a population of 37,877. Divided into 11 municipalities, its capital is Vaduz, and its largest municipality is Schaan. It is also the smallest country to border two countries. Economically, Liechtenstein has one of the highest gross domestic products per person in the world when adjusted for purchasing power parity. It was once known as a billionaire tax haven, but is no longer on any blacklists of uncooperative tax haven countries (see taxation section). An Alpine country, Liechtenstein is mountainous, making it a winter sport destination. The country has a strong financial sector centered in Vaduz. Almost 20,000 people commute to work in Liechtenstein. Liechtenstein is a member of the United Nations, the European Free Trade Association, and the Council of Europe, and although not a member of the European Union, it participates in both the Schengen Area and the European Economic Area. It also has a customs union and a monetary union with Switzerland. 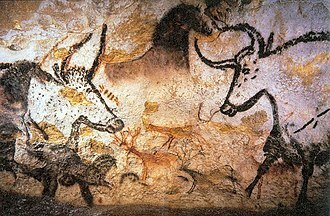 The oldest traces of human existence in what is now Liechtenstein date back to the Middle Paleolithic era. Neolithic farming settlements were initially founded in the valleys around 5300 BCE. The Hallstatt and La Tène cultures flourished during the late Iron Age, from around 450 BCE—possibly under some influence of both the Greek and Etruscan civilisations. One of the most important tribal groups in the Alpine region were the Helvetii. In 58 BCE, at the Battle of Bibracte, Julius Caesar defeated the Alpine tribes, therefore bringing the region under close control of the Roman Republic. 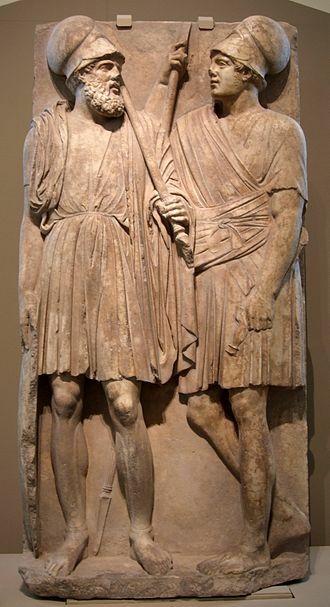 By 15 BCE, Tiberius—destined to be the second Roman emperor—with his brother, Drusus, conquered the entirety of the Alpine area. Liechtenstein was then integrated into the Roman province of Raetia. The area was maintained by the Roman military, who also maintained large legionary camps at Brigantium (Austria), near Lake Constance, and at Magia (Swiss). A Roman road which ran through the territory was also created and maintained by these groups. In 259/60 Brigantium was destroyed by the Alemanni, a Germanic people who settled in the area in around 450 CE. In the Early Middle Ages, the Alemanni settled the eastern Swiss plateau by the 5th century and the valleys of the Alps by the end of the 8th century, with Liechtenstein located at the eastern edge of Alemannia. In the 6th century, the entire region became part of the Frankish Empire following Clovis I's victory over the Alemanni at Tolbiac in 504. The area that later became Liechtenstein remained under Frankish hegemony (Merovingian and Carolingian dynasties), until the empire was divided by the Treaty of Verdun in 843 CE, following the death of Charlemagne. The territory of present-day Liechtenstein was under the possession of East Francia. It would later be reunified with Middle Francia under the Holy Roman Empire, around 1000 CE. Until about 1100, the predominant language of the area was Romansch, but thereafter German began to gain ground in the territory. In 1300, an Alemannic population—the Walsers, who originated in Valais—entered the region and settled. The mountain village of Triesenberg still preserves features of Walser dialect into the present century. By 1200, dominions across the Alpine plateau were controlled by the Houses of Savoy, Zähringer, Habsburg, and Kyburg. Other regions were accorded the Imperial immediacy that granted the empire direct control over the mountain passes. When the Kyburg dynasty fell in 1264, the Habsburgs under King Rudolph I (Holy Roman Emperor in 1273) extended their territory to the eastern Alpine plateau that included the territory of Liechtenstein. This region was enfeoffed to the Counts of Hohenems until the sale to the Liechtenstein dynasty in 1699. In 1396 Vaduz (the southern region of Liechtenstein) was raised to the status of "imperial immediacy" and as such made subject to the Holy Roman Emperor alone. The family, from which the principality takes its name, originally came from Liechtenstein Castle in Lower Austria which they had possessed from at least 1140 until the 13th century (and again from 1807 onwards). The Liechtensteins acquired land, predominantly in Moravia, Lower Austria, Silesia, and Styria. As these territories were all held in feudal tenure from more senior feudal lords, particularly various branches of the Habsburgs, the Liechtenstein dynasty was unable to meet a primary requirement to qualify for a seat in the Imperial diet (parliament), the Reichstag. Even though several Liechtenstein princes served several Habsburg rulers as close advisers, without any territory held directly from the Imperial throne, they held little power in the Holy Roman Empire. 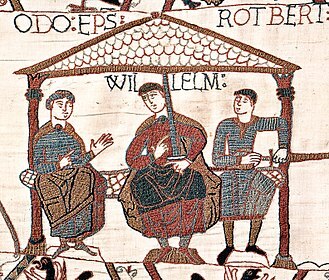 For this reason, the family sought to acquire lands that would be classed as unmittelbar (immediate) or held without any intermediate feudal tenure, directly from the Holy Roman Emperor. During the early 17th century Karl I of Liechtenstein was made a Fürst (prince) by the Holy Roman Emperor Matthias after siding with him in a political battle. Hans-Adam I was allowed to purchase the minuscule Herrschaft ("Lordship") of Schellenberg and county of Vaduz (in 1699 and 1712 respectively) from the Hohenems. Tiny Schellenberg and Vaduz had exactly the political status required: no feudal lord other than their comital sovereign and the suzerain Emperor. On 23 January 1719, after the lands had been purchased, Charles VI, Holy Roman Emperor, decreed that Vaduz and Schellenberg were united and elevated the newly formed territory to the dignity of Fürstentum (principality) with the name "Liechtenstein" in honour of "[his] true servant, Anton Florian of Liechtenstein". It was on this date that Liechtenstein became a sovereign member state of the Holy Roman Empire. It is a testament to the pure political expediency of the purchase that the Princes of Liechtenstein never visited their new principality for almost 100 years. By the early 19th century, as a result of the Napoleonic Wars in Europe, the Holy Roman Empire came under the effective control of France, following the crushing defeat at Austerlitz by Napoleon in 1805. Emperor Francis II abdicated, ending more than 960 years of feudal government. Napoleon reorganized much of the Empire into the Confederation of the Rhine. This political restructuring had broad consequences for Liechtenstein: the historical imperial, legal, and political institutions had been dissolved. The state ceased to owe an obligation to any feudal lord beyond its borders. Modern publications generally attribute Liechtenstein's sovereignty to these events. Its prince ceased to owe an obligation to any suzerain. 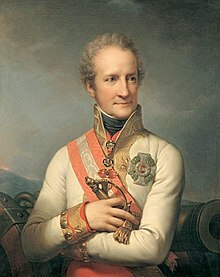 From 25 July 1806, when the Confederation of the Rhine was founded, the Prince of Liechtenstein was a member, in fact, a vassal, of its hegemon, styled protector, the French Emperor Napoleon I, until the dissolution of the confederation on 19 October 1813. Soon afterward, Liechtenstein joined the German Confederation (20 June 1815 – 24 August 1866), which was presided over by the Emperor of Austria. In 1818, Prince Johann I granted the territory a limited constitution. In that same year Prince Aloys became the first member of the House of Liechtenstein to set foot in the principality that bore their name. The next visit would not occur until 1842. 1836, the first factory, for making ceramics, was opened. 1861, the Savings and Loans Bank was founded along with the first cotton-weaving mill. 1868, the Liechtenstein Army was disbanded for financial reasons. 1872, a railway line between Switzerland and the Austro-Hungarian Empire was constructed through Liechtenstein. 1886, two bridges over the Rhine to Switzerland were built. 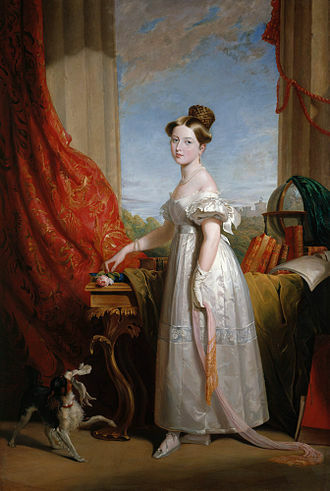 Until the end of World War I, Liechtenstein was closely tied first to the Austrian Empire and later to Austria-Hungary; the ruling princes continued to derive much of their wealth from estates in the Habsburg territories, and spent much of their time at their two palaces in Vienna. The economic devastation caused by the war forced the country to conclude a customs and monetary union with its other neighbour, Switzerland. At the time of the dissolution of the Austro-Hungarian Empire, it was argued that Liechtenstein, as a fief of the Holy Roman Empire, was no longer bound to the emerging independent state of Austria, since the latter did not consider itself the legal successor to the empire. This is partly contradicted[original research?] by the Liechtenstein perception that the dethroned Austro-Hungarian Emperor still maintained an abstract heritage of the Holy Roman Empire. In 1929, 75-year-old Prince Franz I succeeded to the throne. 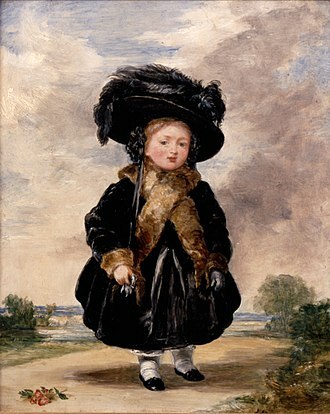 He had just married Elisabeth von Gutmann, a wealthy woman from Vienna whose father was a Jewish businessman from Moravia. Although Liechtenstein had no official Nazi party, a Nazi sympathy movement arose within its National Union party. Local Liechtenstein Nazis identified Elisabeth as their Jewish "problem". In March 1938, just after the annexation of Austria by Nazi Germany, Franz named as regent his 31-year-old grandnephew and heir-presumptive, Prince Franz Joseph. Franz died in July that year, and Franz Joseph succeeded to the throne. Franz Joseph II first moved to Liechtenstein in 1938, a few days after Austria's annexation. During World War II, Liechtenstein remained officially neutral, looking to neighbouring Switzerland for assistance and guidance, while family treasures from dynastic lands and possessions in Bohemia, Moravia, and Silesia were taken to Liechtenstein for safekeeping. At the close of the conflict, Czechoslovakia and Poland, acting to seize what they considered German possessions, expropriated the entirety of the Liechtenstein dynasty's properties in those three regions. The expropriations (subject to modern legal dispute at the International Court of Justice) included over 1,600 km2 (618 sq mi) of agricultural and forest land (most notably the UNESCO listed Lednice–Valtice Cultural Landscape), and several family castles and palaces. In 2005 it was revealed that Jewish labourers from the Strasshof concentration camp, provided by the SS, had worked on estates in Austria owned by Liechtenstein's Princely House. Citizens of Liechtenstein were forbidden to enter Czechoslovakia during the Cold War. More recently the diplomatic conflict revolving around the controversial postwar Beneš decrees resulted in Liechtenstein not sharing international relations with the Czech Republic or Slovakia. Diplomatic relations were established between Liechtenstein and the Czech Republic on 13 July 2009, and with Slovakia on 9 December 2009. Liechtenstein was in dire financial straits following the end of the war in Europe. The Liechtenstein dynasty often resorted to selling family artistic treasures, including the portrait Ginevra de' Benci by Leonardo da Vinci, which was purchased by the National Gallery of Art of the United States in 1967 for US$5 million ($38 million in 2018 dollars), then a record price for a painting. 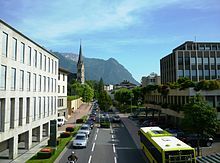 By the late 1970s, Liechtenstein used its low corporate tax rates to draw many companies, and became one of the wealthiest countries in the world. As of September 2008[update] the Prince of Liechtenstein is the world's eighth wealthiest monarch, with an estimated wealth of US$3.5 billion. The country's population enjoys one of the world's highest standards of living. Hans-Adam II, Prince of Liechtenstein, as pictured by Erling Mandelmann in 1974. Liechtenstein has a monarch as Head of State, and an elected parliament that enacts the law. It is also a direct democracy, where voters can propose and enact constitutional amendments and legislation independently of the legislature. The Constitution of Liechtenstein was adopted in March 2003, replacing the 1921 constitution. The 1921 constitution had established Liechtenstein as a constitutional monarchy headed by the reigning prince of the Princely House of Liechtenstein; a parliamentary system had been established, although the reigning Prince retained substantial political authority. The reigning Prince is the head of state and represents Liechtenstein in its international relations (although Switzerland has taken responsibility for much of Liechtenstein's diplomatic relations). The Prince may veto laws adopted by parliament. The Prince can call referenda, propose new legislation, and dissolve parliament, although dissolution of parliament may be subject to a referendum. Executive authority is vested in a collegiate government comprising the head of government (prime minister) and four government councilors (ministers). The head of government and the other ministers are appointed by the Prince upon the proposal and concurrence of parliament, reflecting the partisan balance of parliament. The constitution stipulates that at least two members of the government be chosen from each of the two regions. The members of the government are collectively and individually responsible to parliament; parliament may ask the Prince to remove an individual minister or the entire government. Legislative authority is vested in the unicameral Landtag, made up of 25 members elected for maximum four-year terms according to a proportional representation formula. Fifteen members are elected from the "Oberland" (Upper Country or region) and ten from the "Unterland" (Lower Country or region). 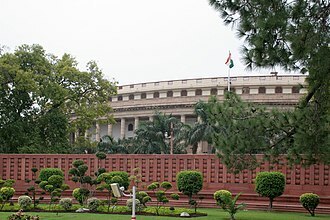 Parties must receive at least 8% of the national vote to win seats in parliament, i.e. enough for 2 seats in the 25-seat legislature. Parliament proposes and approves a government, which is formally appointed by the Prince. Parliament may also pass votes of no confidence in the entire government or individual members. Parliament elects from among its members a "Landesausschuss" (National Committee) made up of the president of the parliament and four additional members. The National Committee is charged with performing parliamentary oversight functions. 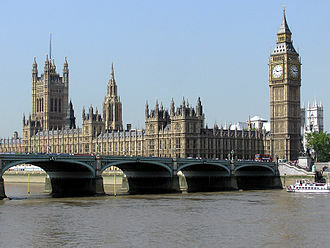 Parliament can call for referenda on proposed legislation. Parliament shares the authority to propose new legislation with the Prince and with the number of citizens required for an initiative referendum. Judicial authority is vested in the Regional Court at Vaduz, the Princely High Court of Appeal at Vaduz, the Princely Supreme Court, the Administrative Court, and the State Court. The State Court rules on the conformity of laws with the constitution and has five members elected by parliament. On 1 July 1984, Liechtenstein became the last country in Europe to grant women the right to vote. The referendum on women's suffrage, in which only men were allowed to participate, passed with 51.3% in favour. In a national referendum in March 2003, nearly two-thirds of the electorate voted in support of Hans-Adam II's proposed new constitution. The proposed constitution was criticised by many, including the Council of Europe, as expanding the powers of the monarchy (continuing the power to veto any law, and allowing the Prince to dismiss the government or any minister). The Prince threatened that if the constitution failed, he would, among other things, convert some royal property for commercial use and move to Austria. The princely family and the Prince enjoy tremendous public support inside the nation, and the resolution passed with about 64% in favour. A proposal to revoke the Prince's veto powers was rejected by 76% of voters in a 2012 referendum. Few national constitutions provide a right of secession, but municipalities in Liechtenstein are entitled to secede from the union by majority vote. In 2013, Liechtenstein won for the first time a SolarSuperState Prize in the category Solar recognizing the achieved level of the usage of photovoltaics per population within the state territory. The SolarSuperState Association justified this prize with the cumulative installed photovoltaic power of some 290 Watt per capita at the end of 2012. This placed Liechtenstein second in the world after Germany. Also in 2014, the SolarSuperState Association awarded the second place SolarSuperState Prize in the category Solar to Liechtenstein. In the years 2015 and 2016, Liechtenstein was honored with the first place SolarSuperState Prize in the category Solar because it had the world's biggest cumulative installed photovoltaic power per population. Liechtenstein is situated in the Upper Rhine valley of the European Alps and is bordered to the east by Austria, and to the south and west by Switzerland. The entire western border of Liechtenstein is formed by the Rhine. Measured south to north the country is about 24 km (15 mi) long. Its highest point, the Grauspitz, is 2,599 m (8,527 ft). Despite its Alpine location, prevailing southerly winds make the climate comparatively mild. In winter, the mountain slopes are well suited to winter sports. New surveys using more accurate measurements of the country's borders in 2006 have set its area at 160 km2 (61.776 sq mi), with borders of 77.9 km (48.4 mi). Liechtenstein's borders are 1.9 km (1.2 mi) longer than previously thought. Liechtenstein is one of the world's two doubly landlocked countries — countries wholly surrounded by other landlocked countries (the other is Uzbekistan). 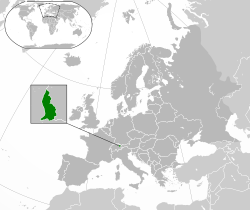 Liechtenstein is the sixth-smallest independent nation in the world by area. 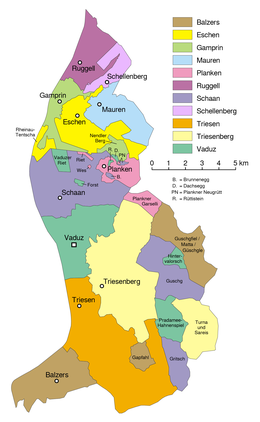 The principality of Liechtenstein is divided into 11 communes called Gemeinden (singular Gemeinde). The Gemeinden mostly consist of only a single town or village. Five of them (Eschen, Gamprin, Mauren, Ruggell, and Schellenberg) fall within the electoral district Unterland (the lower county), and the remainder (Balzers, Planken, Schaan, Triesen, Triesenberg, and Vaduz) within Oberland (the upper county). Looking southward at Vaduz city centre. 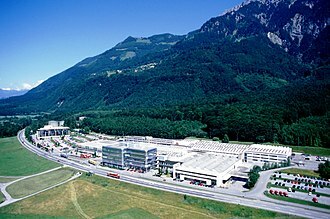 Headquarter of Hilti Corporation in Schaan, Liechtenstein. Despite its limited natural resources, Liechtenstein is one of the few countries in the world with more registered companies than citizens; it has developed a prosperous, highly industrialized free-enterprise economy and boasts a financial service sector as well as a living standard that compares favourably with those of the urban areas of Liechtenstein's much larger European neighbours. Liechtenstein participates in a customs union with Switzerland and employs the Swiss franc as the national currency. The country imports about 85% of its energy. Liechtenstein has been a member of the European Economic Area (an organization serving as a bridge between the European Free Trade Association (EFTA) and the European Union) since May 1995. The government is working to harmonize its economic policies with those of an integrated Europe. In 2008, the unemployment rate stood at 1.5%. Liechtenstein has only one hospital, the Liechtensteinisches Landesspital in Vaduz. As of 2014 the CIA World Factbook estimated the gross domestic product (GDP) on a purchasing power parity basis to be $4.978 billion. As of 2009 the estimate per capita was $139,100, the highest listed for the world. Industries include electronics, textiles, precision instruments, metal manufacturing, power tools, anchor bolts, calculators, pharmaceuticals, and food products. Its most recognizable international company and largest employer is Hilti, a manufacturer of direct fastening systems and other high-end power tools. Many cultivated fields and small farms are found both in the Oberland and Unterland. Liechtenstein produces wheat, barley, corn, potatoes, dairy products, livestock, and wine. Tourism accounts for a large portion of its economy. 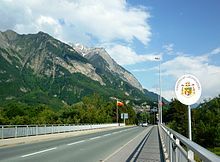 Since 1923, there has been no border control between Liechtenstein and Switzerland. The government of Liechtenstein taxes personal, business income, and principal (wealth). The basic rate of personal income tax is 1.2%. When combined with the additional income tax imposed by the communes, the combined income tax rate is 17.82%. An additional income tax of 4.3% is levied on all employees under the country's social security programme. This rate is higher for the self-employed, up to a maximum of 11%, making the maximum income tax rate about 29% in total. The basic tax rate on wealth is 0.06% per annum, and the combined total rate is 0.89%. The tax rate on corporate profits is 12.5%. Liechtenstein's gift and estate taxes vary depending on the relationship the recipient has to the giver and the amount of the inheritance. The tax ranges between 0.5% and 0.75% for spouses and children and 18% to 27% for non-related recipients. The estate tax is progressive. Liechtenstein has previously received significant revenues from Stiftungen ("foundations"), financial entities created to hide the true owner of nonresident foreigners' financial holdings. The foundation is registered in the name of a Liechtensteiner, often a lawyer. This set of laws used to make Liechtenstein a popular tax haven for extremely wealthy individuals and businesses attempting to avoid or evade taxes in their home countries. In recent years, Liechtenstein has displayed stronger determination to prosecute international money launderers and worked to promote an image as a legitimate finance center. In February 2008, the country's LGT Bank was implicated in a tax-fraud scandal in Germany, which strained the ruling family's relationship with the German government. Crown Prince Alois has accused the German government of trafficking in stolen goods, referring to its $7.3 million purchase of private banking information offered by a former employee of LGT Group. The United States Senate's subcommittee on tax haven banks said that the LGT bank, owned by the princely family, and on whose board they serve, "is a willing partner, and an aider and abettor to clients trying to evade taxes, dodge creditors or defy court orders". The 2008 Liechtenstein tax affair is a series of tax investigations in numerous countries whose governments suspect that some of their citizens have evaded tax obligations by using banks and trusts in Liechtenstein; the affair broke open with the biggest complex of investigations ever initiated for tax evasion in Germany. It was also seen as an attempt to put pressure on Liechtenstein, then one of the remaining uncooperative tax havens—along with Andorra and Monaco—as identified by the Paris-based Organisation for Economic Co-operation and Development in 2007. On 27 May 2009 the OECD removed Liechtenstein from the blacklist of uncooperative countries. In August 2009, the British government department HM Revenue & Customs agreed with Liechtenstein to start exchanging information. It is believed that up to 5,000 British investors have roughly £3 billion deposited in accounts and trusts in the country. In October 2015, the European Union and Liechtenstein signed a tax agreement to ensure the automatic exchange of financial information in case of tax disputes. The collection of data started in 2016, and is another step to bring the principality in line with other European countries with regard to its taxation of private individuals and corporate assets. Population-wise, Liechtenstein is Europe's fourth-smallest country; Vatican City, San Marino, and Monaco have fewer residents. Its population is primarily Alemannic-speaking, although one third is foreign-born, primarily German speakers from Germany, Austria, and Switzerland, along with other Swiss, Italians, and Turks. Foreign-born people make up two-thirds of the country's workforce. Liechtensteiners have an average life expectancy at birth of 82.0 years, subdividing as male: 79.8 years, female: 84.8 years (2018 est.). The infant mortality rate is 4.2 deaths per 1,000 live births, according to 2018 estimates. The official language is German; most speak an Alemannic dialect of German that is highly divergent from Standard German but closely related to dialects spoken in neighbouring regions such as Switzerland and Vorarlberg, Austria. In Triesenberg, a Walser German dialect promoted by the municipality is spoken. Swiss Standard German is also understood and spoken by most Liechtensteiners. Liechtenstein offers protection to adherents of all religions, and considers the "religious interests of the people" a priority of the government. 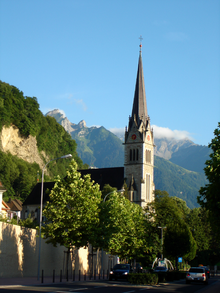 In Liechtenstein schools, although exceptions are allowed, religious education in Roman Catholicism or Protestantism (either Reformed or Lutheran, or both) is legally required. Tax exemption is granted by the government to religious organizations. According to the Pew Research Center, social conflict caused by religious hostilities is low in Liechtenstein, and so is government restriction on the practice of religion. According to the 2010 census, 85.8% of the total population is Christian, of whom 75.9% adhere to the Roman Catholic faith, forming the exempt Roman Catholic Archdiocese of Vaduz, while 9.6% are either Protestant, mainly organized in the Evangelical Church in Liechtenstein (a United church, Lutheran & Reformed) and the Evangelical Lutheran Church in Liechtenstein, or Orthodox, mainly organized in the Christian-Orthodox Church. The largest minority religion is Islam (5.4% of the total population). The literacy rate of Liechtenstein is 100%. In 2006 Programme for International Student Assessment report, coordinated by the Organisation for Economic Co-operation and Development, ranked Liechtenstein's education as the 10th best in the world. In 2012, Liechtenstein had the highest PISA-scores of any European country. There are about 250 kilometres (155 miles) of paved roadway within Liechtenstein, with 90 km (56 miles) of marked bicycle paths. A 9.5 km (5.9 mi) railway connects Austria and Switzerland through Liechtenstein. The country's railways are administered by the Austrian Federal Railways as part of the route between Feldkirch, Austria, and Buchs, Switzerland. Liechtenstein is nominally within the Austrian Verkehrsverbund Vorarlberg tariff region. There are four railway stations in Liechtenstein, namely Schaan-Vaduz, Forst Hilti, and Nendeln and Schaanwald, served by an irregularly stopping train service between Feldkirch and Buchs provided by Austrian Federal Railways. While EuroCity and other long-distance international trains also travel along the route, they do not normally call at the stations within the borders of Liechtenstein. Liechtenstein Bus is a subsidiary of the Swiss Postbus system, but separately run, and connects to the Swiss bus network at Buchs and at Sargans. Buses also run to the Austrian town of Feldkirch. Liechtenstein has no airport. The nearest large airport is Zürich Airport near Zürich, Switzerland (130 km/80 mi by road). The nearest small airport is St. Gallen Airport (50 km/30 mi). Friedrichshafen Airport also provides access to Liechtenstein, as it is 85 km away. Balzers Heliport is available for chartered helicopter flights. As a result of its small size, Liechtenstein has been strongly affected by external cultural influences, most notably those originating in the southern regions of German-speaking Europe, including Austria, Baden-Wurttemberg, Bavaria, Switzerland, and specifically Tirol and Vorarlberg. The "Historical Society of the Principality of Liechtenstein" plays a role in preserving the culture and history of the country. The largest museum is the Kunstmuseum Liechtenstein, an international museum of modern and contemporary art with an important international art collection. The building by the Swiss architects Morger, Degelo, and Kerez is a landmark in Vaduz. 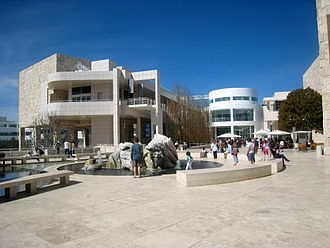 It was completed in November 2000 and forms a "black box" of tinted concrete and black basalt stone. The museum collection is also the national art collection of Liechtenstein. The other important museum is the Liechtenstein National Museum (Liechtensteinisches Landesmuseum) showing permanent exhibition on the cultural and natural history of Liechtenstein as well as special exhibitions. There is also a stamp museum, ski museum, and a 500-year-old Rural Lifestyle Museum. The Liechtenstein State Library is the library that has legal deposit for all books published in the country. The most famous historical sites are Vaduz Castle, Gutenberg Castle, the Red House and the ruins of Schellenberg. The Private Art Collection of the Prince of Liechtenstein, one of the world's leading private art collections, is shown at the Liechtenstein Museum in Vienna. On the country's national holiday all subjects are invited to the castle of the head of state. A significant portion of the population attends the national celebration at the castle where speeches are made and complimentary beer is served. Music and theatre are an important part of the culture. There are numerous music organizations such as the Liechtenstein Musical Company, the annual Guitar Days, and the International Josef Gabriel Rheinberger Society, which play in two main theatres. The primary internet service provider and mobile network operator of Liechtenstein is Telecom Liechtenstein, located in Schaan. There is only one television channel in the country, the private channel 1FLTV created in 2008. At the moment, 1FLTV is not a member of the European Broadcasting Union. L-Radio, which was established in 2004, serves as Liechtenstein's radio station and is based in Triesen. L-Radio has a listener base of 50,000 and began as "air Radio Liechtenstein" on 15 October 1938. Liechtenstein also has two major newspapers; Liechtensteiner Volksblatt and Liechtensteiner Vaterland. The primary multimedia company in Liechtenstein is ManaMedia, located in Vaduz. Amateur radio is a hobby of some nationals and visitors. However, unlike virtually every other sovereign nation, Liechtenstein does not have its own ITU prefix. It uses Switzerland's callsign prefixes (typically "HB") followed by a zero. Liechtenstein football teams play in the Swiss football leagues. The Liechtenstein Football Cup allows access for one Liechtenstein team each year to the UEFA Europa League; FC Vaduz, a team playing in the Swiss Challenge League, the second division in Swiss football, is the most successful team in the Cup, and scored their greatest success in the European Cup Winners' Cup in 1996 when they drew with and defeated the Latvian team FC Universitate Riga by 1–1 and 4–2, to go on to a lucrative fixture against Paris Saint-Germain F.C., which they lost 0–3 and 0–4. The Liechtenstein national football team is regarded as an easy target for any team drawn against them; this was the basis for a book about Liechtenstein's unsuccessful qualifying campaign for the 2002 World Cup by British author, Charlie Connelly. In one surprising week during autumn 2004, however, the team managed a 2–2 draw with Portugal, who only a few months earlier had been the losing finalists in the European Championships. Four days later, the Liechtenstein team traveled to Luxembourg, where they defeated the home team 4–0 in a 2006 World Cup qualifying match. In the qualification stage of the European Championship 2008, Liechtenstein beat Latvia 1–0, a result which prompted the resignation of the Latvian coach. They went on to beat Iceland 3–0 on 17 October 2007, which is considered one of the most dramatic losses of the Icelandic national football team. On 7 September 2010, they came within seconds of a 1–1 draw against Scotland in Glasgow, having led 1–0 earlier in the second half, but Liechtenstein lost 2–1 thanks to a goal by Stephen McManus in the 97th minute. On 3 June 2011, Liechtenstein defeated Lithuania 2–0. On 15 November 2014, Liechtenstein defeated Moldova 0–1 with Franz Burgmeier's late free kick goal in Chișinău. As an alpine country, the main sporting opportunity for Liechtensteiners to excel is in winter sports such as downhill skiing: the country's single ski area is Malbun. Hanni Wenzel won two gold medals and one silver medal in the 1980 Winter Olympics (she won bronze in 1976), her brother Andreas won one silver medal in 1980 and one bronze medal in 1984 in the giant slalom event, and her daughter Tina Weirather won a bronze medal in 2018 in the Super-G. With ten medals overall (all in alpine skiing), Liechtenstein has won more Olympic medals per capita than any other nation. It is the smallest nation to win a medal in any Olympics, Winter or Summer, and the only nation to win a medal in the Winter Games but not in the Summer Games. 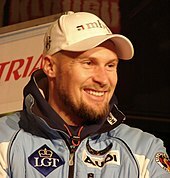 Other notable skiers from Liechtenstein are Marco Büchel, Willi Frommelt, Paul Frommelt and Ursula Konzett. Liechtenstein is also the home country of Stephanie Vogt, a professional women's tennis player. Liechtenstein competes in the Switzerland U16 Cup Tournament, which offers young players an opportunity to play against top football clubs. The Liechtenstein National Police is responsible for keeping order within the country. It consists of 87 field officers and 38 civilian staff, totaling 125 employees. All officers are equipped with small arms. The country has one of the world's lowest crime rates. Liechtenstein's prison holds few, if any, inmates, and those with sentences over two years are transferred to Austrian jurisdiction. The Liechtenstein National Police maintains a trilateral treaty with Austria and Switzerland that enables close cross-border cooperation among the police forces of the three countries. Liechtenstein follows a policy of neutrality and is one of the few countries in the world that maintain no military. The army was abolished soon after the Austro-Prussian War of 1866, in which Liechtenstein fielded an army of 80 men, although they were not involved in any fighting. The demise of the German Confederation in that war freed Liechtenstein from its international obligation to maintain an army, and parliament seized this opportunity and refused to provide funding for one. 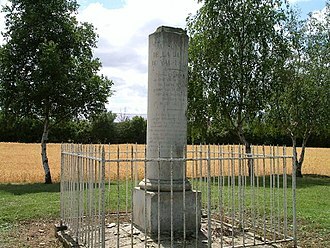 The Prince objected, as such a move would leave the country defenceless, but relented on 12 February 1868 and disbanded the force. The last soldier to serve under the colors of Liechtenstein died in 1939 at age 95. During the 1980s the Swiss army fired off shells during an exercise and mistakenly burned a patch of forest inside Liechtenstein. The incident was said to have been resolved "over a case of white wine". In March 2007, a 170-man Swiss infantry unit got lost during a training exercise and inadvertently crossed 1.5 km (0.9 miles) into Liechtenstein. The accidental invasion ended when the unit realized their mistake and turned back. The Swiss army later informed Liechtenstein of the incursion and offered official apologies, to which an internal ministry spokesperson responded, "No problem, these things happen." ^ Raum, Umwelt und Energie Archived 12 October 2011 at the Wayback Machine Landesverwaltung Liechtenstein. Retrieved 2 October 2011. ^ a b c "Amt für Statistik, Landesverwaltung Liechtenstein". Llv.li. Retrieved 11 May 2018. ^ "Liechtenstein in Figures: 2016" (PDF). Llv.li. Retrieved 3 August 2017. ^ a b c Key Figures for Liechtenstein Archived 17 September 2009 at the Wayback Machine Landesverwaltung Liechtenstein. Retrieved 1 July 2012. ^ a b c World Development Indicators, World Bank. Retrieved 1 July 2012. Note: "PPP conversion factor, GDP (LCU per international $)" and "Official exchange rate (LCU per US$, period average)" for Switzerland were used. ^ "2017 Human Development Report". United Nations Development Programme. 2017. Retrieved 14 September 2018. ^ Duden Aussprachewörterbuch, s.v. "Liechtenstein[er]". ^ "IGU regional conference on environment and quality of life in central Europe". GeoJournal. 28 (4). 1992. doi:10.1007/BF00273120. ^ Schwarz, Brigitte (30 June 2017) Bevölkerungsstatistik. Amt für Statistik. Liechtenstein. ^ "The smallest countries in the world by area". www.countries-ofthe-world.com. Retrieved 3 July 2018. ^ CIA – The World Factbook – Country Comparison :: GDP – per capita (PPP) Cia.gov. Retrieved 24 December 2011. ^ a b Eccardt, Thomas (2005). Secrets of the Seven Smallest States of Europe. Hippocrene Books. p. 176. ISBN 978-0-7818-1032-6. ^ "300 years Principality of Liechtenstein – Fürstentum Liechtenstein". www.liechtenstein.li. ^ "History, creation of Liechtenstein". liechtenstein.li. Liechtenstein Marketing. Retrieved 1 April 2017. ^ "Liechtenstein: Nazi Pressure?". Time. New York. 11 April 1938. Retrieved 26 May 2010. ^ "Nazi crimes taint Liechtenstein". BBC News. 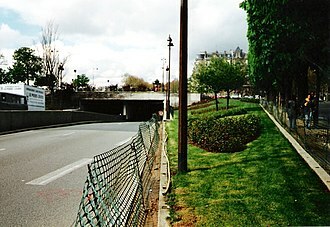 14 April 2005. Retrieved 3 August 2017. ^ "Liechtenstein and the Czech Republic establish diplomatic relations" (PDF). Government Spokesperson’s Office, the Principality of Liechtenstein. 13 July 2009. Archived from the original (PDF) on 11 May 2011. Retrieved 6 August 2009. ^ "Navázání diplomatických styků České republiky s Knížectvím Lichtenštejnsko" [Establishment of diplomatic relations with the Czech Republic and the Principality of Liechtenstein] (in Czech). Ministry of Foreign Affairs of the Czech Republic. 13 July 2009. Retrieved 28 October 2011. ^ "MINA Breaking News – Decades later, Liechtenstein and Czechs establish diplomatic ties". Macedoniaonline.eu. 15 July 2009. Retrieved 6 June 2010. ^ "Liechtenstein and the Slovak Republic establish diplomatic relations" (PDF). Government Spokesperson’s Office, the Principality of Liechtenstein. 9 December 2009. Archived from the original (PDF) on 11 May 2011. Retrieved 22 December 2009. ^ "Country profile: Liechtenstein – Leaders". BBC News. 6 December 2006. Retrieved 29 December 2006. ^ "Principality of Liechtenstein – Government". Archived from the original on 7 August 2007. Retrieved 11 January 2010. CS1 maint: Unfit url (link). Retrieved 11 January 2010. ^ "Principality of Liechtenstein website – Parliamentary elections". Archived from the original on 7 August 2004. Retrieved 11 January 2010. CS1 maint: Unfit url (link). Retrieved 11 January 2010. ^ "Principality of Liechtenstein website – Parliamentary Organization". Archived from the original on 11 October 2004. Retrieved 11 January 2010. CS1 maint: Unfit url (link). Retrieved 11 January 2010. ^ "Liechtenstein Women Win Right to Vote". The New York Times. 2 July 1984. Retrieved 8 July 2011. ^ "Liechtenstein Prince wins powers". BBC News. 16 March 2003. Retrieved 29 December 2006. ^ "IFES Election Guide – Election Profile for Liechtenstein – Results". Electionguide.org. Retrieved 1 July 2012. ^ "Liechtenstein votes to keep prince's veto". Reuters. 1 July 2012. Retrieved 1 July 2012. ^ "Auszeichnung für das Land Liechtenstein". Volksblatt. 23 August 2013. Retrieved 11 September 2017. ^ "Fotovoltaik: Eigenverbrauch soll stärker forciert werden". Volksblatt. 25 July 2014. Retrieved 11 September 2017. ^ "Wir sind Solarstrom-Weltmeister 2015". Volksblatt. 29 June 2015. Retrieved 11 September 2017. ^ "Liechtenstein erneut Solar-Weltmeister". Liechtensteiner Vaterland. 5 July 2016. Retrieved 11 September 2017. ^ "Tiny Liechtenstein gets a little bigger", 29 December 2006. ^ "Liechtenstein redraws Europe map". BBC News. 28 December 2006. ^ a b c d "Liechtenstein". The World Factbook. Central Intelligence Agency. Retrieved 3 August 2017. ^ Encyclopedia of the Nations. Nationsencyclopedia.com. Retrieved 24 December 2011. ^ "Billionaire Tax Haven Liechtenstein Loses on Bank Reforms". Bloomberg.com. Retrieved 3 August 2017. ^ Wiesmann, Gerrit (23 February 2008). "Lilliput's giant-slayer." Financial Times. London. ^ "Pro Libertate: A Parasite's Priorities (Updated, February 23)". Freedominourtime.blogspot.com. 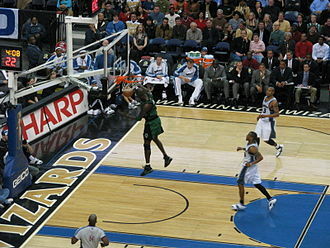 22 February 2008. Retrieved 3 August 2017. ^ "Tax Me If You Can". ABC News Australia. 6 October 2008. Retrieved 6 June 2010. ^ "Skandal gigantischen Ausmaßes". Süddeutsche Zeitung (in German). Munich. 17 May 2010. Retrieved 17 May 2010. ^ Esterl, Mike; Simpson, Glenn R.; Crawford, David (19 February 2008). "Stolen Data Spur Tax Probes". The Wall Street Journal. New York. Retrieved 20 February 2008. ^ Removal from OECD List of Unco-operative Tax Havens. Oecd.org. Retrieved 24 December 2011. ^ "UK signs Liechtenstein tax deal". BBC News. 11 August 2009. Retrieved 24 December 2011. ^ "EU and Liechtenstein sign deal on automatic exchange of tax data" (Press release). Brussels: European Council. 28 October 2015. Retrieved 15 August 2017. ^ "WT/TPR/S/280 • Switzerland and Liechtenstein" (PDF). WTO. Retrieved 26 January 2015. ^ a b "Volkszählung 2010". Llv.li. Retrieved 3 August 2017. ^ a b Jeroen Temperman (30 May 2010). State-Religion Relationships and Human Rights Law: Towards a Right to Religiously Neutral Governance. BRILL. pp. 44–45. ISBN 978-90-04-18148-9. Retrieved 31 July 2012. ^ a b Aili Piano (30 September 2009). Freedom in the World 2009: The Annual Survey of Political Rights & Civil Liberties. Rowman & Littlefield. p. 426. ISBN 978-1-4422-0122-4. Retrieved 31 July 2012. ^ "Global Restrictions on Religion" (PDF). Pew Research Center. Archived from the original (PDF) on 17 January 2013. Retrieved 3 August 2017. ^ "Aktuell :: Orthodoxie". www.orthodoxie.li (in German). Retrieved 2018-10-26. ^ "Statistisches Jahrbuch Liechtensteins" (PDF). Llv.li. 2014. p. 80. Retrieved 3 August 2017. ^ "PISA 2012 Results in Focus" (PDF). Paris: OECD. Retrieved 3 August 2017. ^ a b "Weiterführende Schulen Schaan." Commune of Schaan. Retrieved 12 May 2016. "Realschule Schaan Duxgass 55 9494 Schaan" and "Sportschule Liechtenstein Duxgass 55 9494 Schaan" and "Realschule Vaduz Schulzentrum Mühleholz II 9490 Vaduz" and "Oberschule Vaduz Schulzentrum Mühleholz II 9490 Vaduz"
^ Verkehrsverbund Vorarlberg. Vmobil.at. Retrieved 24 December 2011. ^ Heliport Balzers FL LSXB. Tsis.ch. Retrieved 24 December 2011. ^ Heliports – Balzers LSXB – Heli-Website von Matthias Vogt. Heli.li. Retrieved 24 December 2011. ^ a b Letzing, John (16 April 2014). 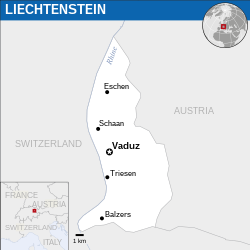 "Liechtenstein Gets Even Smaller". The Wall Street Journal. Retrieved 21 June 2018. ^ "Per Capita Olympic Medal Table". Retrieved 24 January 2009. ^ Beattie, David (2004). Liechtenstein: A Modern History. London: I.B. Tauris. p. 30. ISBN 978-1-85043-459-7. ^ CBC News (2 March 2007). "Not-so-precise Swiss army unit mistakenly invades Liechtenstein". CBC News. Retrieved 18 September 2011. 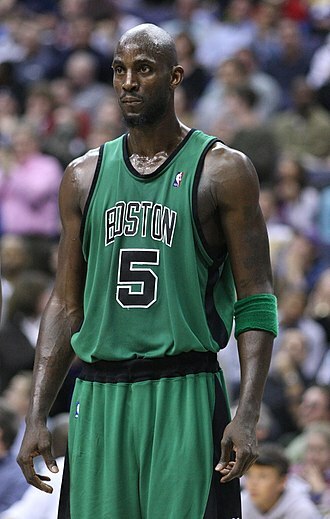 ^ Hamilton, Lindsay (3 March 2007). "Whoops! Swiss Accidentally Invade Liechtenstein". ABC News. Retrieved 18 September 2011. ^ Brook, Benedict (24 March 2017). "Liechtenstein, the country that's so small it keeps being invaded by its bigger neighbour". news.com.au. Retrieved 30 April 2018. "Liechtenstein". The World Factbook. Central Intelligence Agency. "Liechtenstein" . Encyclopædia Britannica. 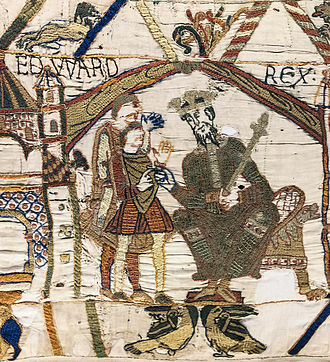 16 (11th ed.). 1911. The flag of Liechtenstein consists of two horizontal blue and red bands charged with a gold crown at the canton. 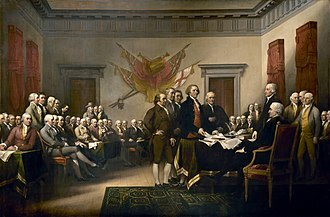 Adopted in 1921 after being enshrined into the nations constitution. The crown was added to the flag in 1937 after the found out at the Summer Olympics held the previous year that their flag was identical to the flag of Haiti. Liechtenstein was formed in 1719 as a principality within the Holy Roman Empire, within this period, the colours blue and red were selected to feature on the flag, instead of the gold and red on the coat of arms that would have customarily been employed instead. These new livery colours were first utilized by Prince Joseph Wenzel I in 1764, a new constitution for the Principality was formulated and proclaimed in October 1921. It made the blue and red banner the national flag by granting it official status, fifteen years later, during the 1936 Summer Olympics, the country came to the realization that its flag was identical to the flag of Haiti. 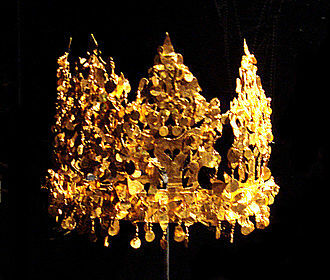 Because of this finding, the government added the crown to the canton. This change served two purposes – to signify Liechtensteins position as a principality, and to distinguish its flag from Haitis and this modified design was adopted on June 24,1937. The colors and symbols of the flag carry cultural, the blue represents the sky, while red alludes to the evening fires that are lit inside houses throughout the country. 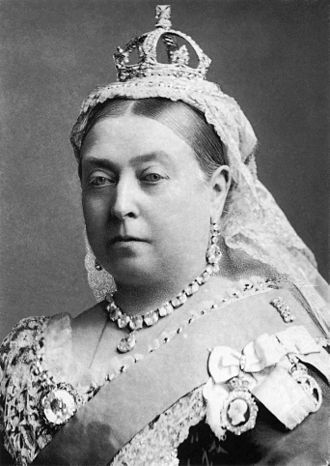 The crown – whose colour is disputed – epitomizes the unity of the people, while The World Factbook and Reuters describe it as gold in colour, other sources – such as Whitney Smith in the Encyclopædia Britannica – describe it as yellow. In February 2004, the Financial Intelligence Unit of Liechtenstein called for the capture of a Falcon 50 private jet that was owned by the regime of Saddam Hussein. They sought this action because the plane flew the flag of Liechtenstein and had a number from Switzerland. This was carried out afterwards in order to comply with United Nations Security Council Resolution 1483. After being transported to Basel and revamped entirely, the Liechtensteiner government returned the plane to the new government of Iraq on December 5,2005 and this marked the first Iraqi aircraft seized under UN sanctions to be given back to the country. A landlocked state or landlocked country is a sovereign state entirely enclosed by land, or whose only coastlines lie on closed seas. There are currently 49 such countries, including five partially recognised states, only two and Paraguay in South America, lie outside Afro-Eurasia. As a rule, being landlocked creates political and economic handicaps that access to the high seas avoids, for this reason, states large and small across history have striven to gain access to open waters, even at great expense in wealth and political capital. The economic disadvantages of being landlocked can be alleviated or aggravated depending on degree of development, language barriers, some historically landlocked countries are quite affluent, such as Switzerland and Austria, all of which frequently employ neutrality to their political advantage. The majority, are classified as Landlocked Developing Countries,9 of the 12 countries with the lowest Human Development Indices are landlocked. Historically, being landlocked has been disadvantageous to a countrys development and it cuts a nation off from such important sea resources as fishing, and impedes or prevents direct access to seaborne trade, a crucial component of economic and social advance. As such, coastal regions tended to be wealthier and more populated than inland ones. Paul Collier in his book The Bottom Billion argues that being landlocked in a poor geographic neighborhood is one of four major development traps by which a country can be held back. In general, he found that when a neighboring country experiences better growth, for landlocked countries, the effect is particularly strong, as they are limited in their trading activity with the rest of the world. He states, If you are coastal, you serve the world, if you are landlocked, others have argued that being landlocked may actually be a blessing as it creates a natural tariff barrier which protects the country from cheap imports. In some instances, this has led to more robust local food systems, Landlocked developing countries have significantly higher costs of international cargo transportation compared to coastal developing countries. Since Bosnia and Herzegovina is a new country and ports have not been built for its need, there is no freight port along its short coastline at Neum, making it effectively landlocked, although there are plans to change this. The franc is the currency and legal tender of Switzerland and Liechtenstein, it is legal tender in the Italian exclave Campione dItalia. The Swiss National Bank issues banknotes and the federal mint Swissmint issues coins, the smaller denomination, a hundredth of a franc, is a Rappen in German, centime in French, centesimo in Italian, and rap in Romansh. The ISO code of the used by banks and financial institutions is CHF, although Fr. is used by most businesses and advertisers. Given the different languages used in Switzerland, Latin is used for inscriptions on the coins. In 1798, the Helvetic Republic introduced a currency based on the Berne thaler, the Swiss franc was equal to 6 3⁄4 grams of pure silver or 1 1⁄2 French francs. This franc was issued until the end of the Helvetic Republic in 1803, in order to solve this problem, the new Swiss Federal Constitution of 1848 specified that the federal government would be the only entity allowed to make money in Switzerland. This was followed two years by the first Federal Coinage Act, passed by the Federal Assembly on 7 May 1850, the franc was introduced at par with the French franc. It replaced the different currencies of the Swiss cantons, some of which had been using a franc which was worth 1 1⁄2 French francs. In 1865, Belgium and Switzerland formed the Latin Monetary Union, the currency was devalued by 30% following the devaluations of the British pound, U. S. dollar and French franc. In 1945, Switzerland joined the Bretton Woods system and pegged the franc to the U. S. dollar at a rate of $1 =4.30521 francs and this was changed to $1 =4.375 francs in 1949. The Swiss franc has historically considered a safe-haven currency with virtually zero inflation. However, this link to gold, which dates from the 1920s, was terminated on 1 May 2000 following a referendum. 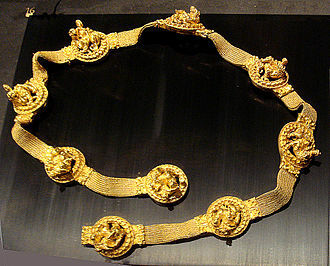 By March 2005, following a gold selling program, the Swiss National Bank held 1,290 tonnes of gold in reserves which equated to 20% of its assets. In November 2014, the referendum on the Swiss Gold Initiative which proposed a restoration of 20% gold backing for the Swiss franc was voted down, in March 2011 the franc climbed past the US$1.10 mark. Adrian Hasler is a politician from Liechtenstein and the current Prime Minister of Liechtenstein. Hasler is a trained economist and was head of the Liechtenstein National Police Force, Adrian Hasler is married to Gudrun Hasler, and they have two sons and Luis. Adrian Hasler got his Matura, the qualification for university entrance. Subsequently he started studying business administration with an area of expertise in finance and accounting at the University of St. Gallen, after that he was head of controlling in the business division Thin Films of the Balzers AG. From 1996 until 2004 he was head of Group Finance and deputy-director of the Verwaltungs- und Privat-Bank in Vaduz and he was elected in 2001 as a Member of Parliament for the Progressive Citizens Party. In March 2004, he resigned to become the new chief of the National police of Liechtenstein, on April 1,2004 he therefore replaced the interim police chief Martin Meyer. Marco Ospelt succeeded him as a Member of Parliament, in 2012, he was selected as the FBP candidate for Prime Minister for the parliamentary elections in 2013. The fourth Peace of Pressburg was signed on 26 December 1805 between Napoleon and Holy Roman Emperor Francis II as a consequence of the French victories over the Austrians at Ulm and Austerlitz. A truce was agreed on December 4, and negotiations for the treaty began. The treaty was signed in Pressburg, at time in Hungary, by Johann I Josef, Prince of Liechtenstein. Beyond the clauses establishing peace and amity and the Austrian withdrawal from the Third Coalition, the gains of the previous treaties of Campo Formio and Lunéville were reiterated and Austrian holdings in Italy and Bavaria were ceded to France. Certain Austrian holdings in Germany were passed to French allies, the King of Bavaria, the King of Württemberg, Austrian claims on those German states were renounced without exception. Augsburg, previously an independent Free Imperial City, was ceded to Bavaria, as a minor compensation, Austria received the Electorate of Salzburg. 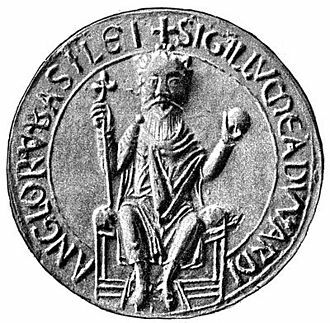 Emperor Francis II recognized the titles assumed by the Electors of Bavaria and Württemberg. Hans-Adam II is the reigning Prince of Liechtenstein. He is the son of Franz Joseph II, Prince of Liechtenstein and he bears the titles Duke of Troppau and Jägerndorf, and Count Rietberg. Prince Hans-Adam was born on 14 February 1945 in Zürich, Switzerland as the eldest son of Prince Franz Joseph II and Princess Gina of Liechtenstein. His father had succeeded as Prince of Liechtenstein upon the death of his childless grand-uncle, Prince Franz I, in 1938, in 1969, Hans-Adam graduated from the University of St. Gallen with a Licentiate in Business and Economic Studies. 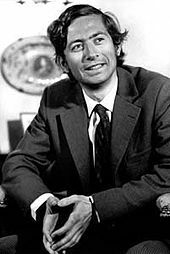 Hans-Adam formally succeeded as Prince of Liechtenstein upon the death of his father on 13 November 1989, a referendum to adopt Hans-Adams revision of the constitution to expand his powers passed in 2003. Legally, Hans-Adam remains Head of State, in July 2012 the people of Liechtenstein overwhelmingly rejected a proposal to curtail the political power of the princely family. Despite an almost year-long campaign by those who proposed the changes, who serve on a part-time basis, rose in the princes defence on 23 May, voting 18 to 7 against the citizens initiative. The prince had threatened to quit the country if the 2003 referendum did not result in his favor and he owns an extensive art collection, much of which is displayed for the public at the Liechtenstein Museum in Vienna. Hans-Adam descends in the male line from three of the previous fourteen Princes of Liechtenstein, and from another three in the female line. His native language is German, but he is fluent in English. Their official residence is at Vaduz Castle, which overlooks the capital. D. St. V, nordgau Prag Stuttgart, a Catholic students fraternity that is a member of the Cartellverband der katholischen deutschen Studentenverbindungen. The Prince donated $12 million in 2000 to found the Liechtenstein Institute on Self-determination at Princeton Universitys Woodrow Wilson School of Public, in his childhood he joined the Pfadfinder und Pfadfinderinnen Liechtensteins in Vaduz. He is a member of the Viennese Scout Group Wien 16-Schotten. He is a member of the World Scout Foundation, today he and his wife are patrons of Pfadfinder und Pfadfinderinnen Liechtensteins. Vaduz is the capital of Liechtenstein and the seat of the national parliament. The town, which is located along the Rhine River, has about 5,100 residents as of 2009, although Vaduz is the best known town internationally in the principality, it is not the largest, neighbouring Schaan has a larger population. Vaduz is said to be mentioned in historic 12th-century manuscripts as Farduzes and it is, commonly believed to have been founded circa 1322 by the Counts of Werdenberg. In 1322 a mention of the castle is made, which was sacked by the Swiss in 1499 during the Swabian War, the entire town was destroyed. In the 17th century the Liechtenstein family was seeking a seat in the Imperial diet, since they did not hold any territory that was directly under the Imperial throne, they were unable to meet the primary requirement to qualify. 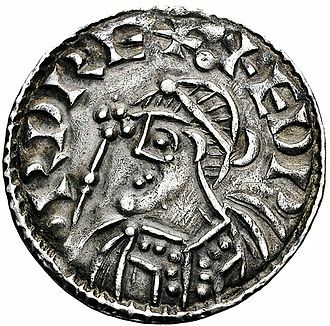 After some time, the family was able to arrange the purchase of the minuscule Herrschaft of Schellenberg, tiny Schellenberg and Vaduz possessed exactly the political status required, no feudal lord other than the Emperor. It is on this date that Liechtenstein became a member state of the Holy Roman Empire. As a testament to the political expediency of the purchases. The most prominent landmark of Vaduz is Vaduz Castle, the home of the prince of Liechtenstein. The castle is visible from almost any location in Vaduz, being perched atop a hill in the middle of the city. The Cathedral of St. Florin, Government House and City Hall are well-known landmarks, displaying the various styles, Vaduz has a lively tourist industry, despite being one of the very few capital cities in the world without an airport or railway station. The closest railway station is Schaan–Vaduz located around 2 kilometres from the city centre in the town of Schaan, very few trains stop here except for a local service between Buchs in Switzerland and Feldkirch in Austria. There are extremely frequent bus connections between nearby mainline railway stations including Buchs and Feldkirch, operated by Liechtenstein Bus, the nearest airport is Zürich Airport located around 120 km away from Vaduz. Liechtenstein is a principality governed under a constitutional monarchy. It has a form of mixed constitution in which power is shared by the monarch. There is a two-party system and a form of democracy in which the prime minister. However the Prince of Liechtenstein is head of state and exercises considerable political powers, the executive power is exercised by the Cabinet of Liechtenstein. Legislative power is vested in both the government and the Landtag, the party system is dominated by the conservative Progressive Citizens Party and the liberal-conservative Patriotic Union. The Judiciary is independent of the executive and the legislature, on 15 August 2002, in his National Day Address, Prince Hans-Adam II announced that after months of intensive negotiations, a compromise in the debate on constitutional reform had been reached. 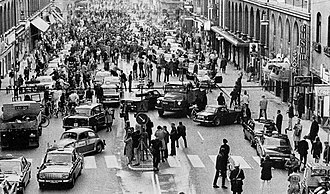 On 13 September, Prime Minister Otmar Hasler confirmed to Parliament that his government was drafting a bill for Parliament based on the compromise reached between the Prince and the Citizens Forum. 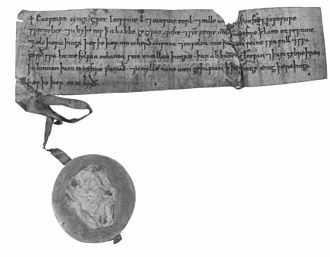 The draft bill, which would increase the powers of the monarch. 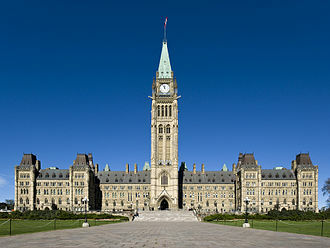 Once approved by Parliament, the bill was presented to voters in a referendum. Following legislative elections, the head of government is appointed by the prince, thus the government is usually composed of the members of the majority party. It is, customary that the leader of the largest minority party in the Diet is appointed the deputy head of government by the monarch. According to the constitution of Liechtenstein, the government is a body and consists of the head of government. Amendment to the constitution or new law have to be adopted by Parliament, Prince Hans Adam II is the current head of state. His constitutional powers include the power to any legislation, to be used at his discretion. He represents the state vis-à-vis foreign states and he signs international treaties either in person or delegates this function to a plenipotentiary. Some treaties under international law only become valid when they have been ratified by Parliament, all judgments are issued in the name of the Prince. Most historians have judged the Confederation to have been weak and ineffective, as well as an obstacle to the creation of a German nation-state. It collapsed due to the rivalry between Prussia and Austria, the 1848 revolution, and the inability of the members to compromise. In 1848, revolutions by liberals and nationalists were an attempt to establish a unified German state. Talks between the German states failed in 1848, and the Confederation briefly dissolved, but was re-established shortly after and it decidedly fell apart only after the Prussian victory in the Seven Weeks War of 1866. This led to the creation of the North German Confederation under Prussian leadership in 1867, a number of South German states remained independent until they joined the North German Confederation, which was renamed the German Empire. The War of the Third Coalition lasted from about 1803 to 1806, following defeat at the Battle of Austerlitz by the French under Napoleon in December 1805, Holy Roman Emperor Francis II abdicated, and the Empire was dissolved on 6 August 1806. The resulting Treaty of Pressburg established the Confederation of the Rhine in July 1806, after the Battle of Jena–Auerstedt of October 1806 in the War of the Fourth Coalition, various other German states, including Saxony and Westphalia, joined the Confederation. Only Austria, Danish Holstein, Swedish Pomerania and the French-occupied Principality of Erfurt stayed outside the Confederation of the Rhine and these nations would join in the War of the Sixth Coalition from 1812 to 1814. The German Confederation was created by the 9th Act of the Congress of Vienna on 8 June 1815 after being alluded to in Article 6 of the 1814 Treaty of Paris, ending the War of the Sixth Coalition. The Confederation was formally created by a treaty, the Final Act of the Ministerial Conference to Complete and Consolidate the Organization of the German Confederation. 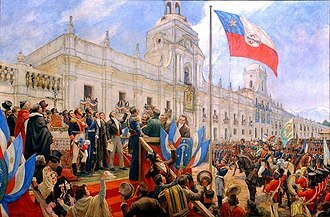 This treaty was not concluded and signed by the parties until 15 May 1820, States joined the German Confederation by becoming parties to the second treaty. The German Confederation ended as a result of the Austro-Prussian War of 1866 between Austrian Empire and its allies on one side and the Kingdom of Prussia and its allies on the other. In the Prague peace treaty, on 23 August 1866, Austria had to accept that the Confederation was considered to be dissolved, the following day, the remaining member states confirmed the dissolution. 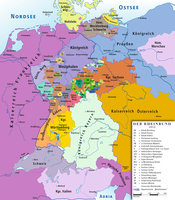 The treaty allowed Prussia to create a new Bundesverhältnis in the North of Germany, the South German states were proposed to create a South German Confederation but this did not come into existence. Prussia and its allies created the North German Confederation in 1867, because of French intervention it had to exclude, besides Austria, the South German states Bavaria, Württemberg and Hesse-Darmstadt. During November 1870 the four states joined the North German Confederation by treaty. The North German Confederation Reichstag and Bundesrat accepted to rename the North German Confederation as the German Empire, the new constitution of the state, the Constitution of the German Confederation, introduced the new name and title on 1 January 1871.